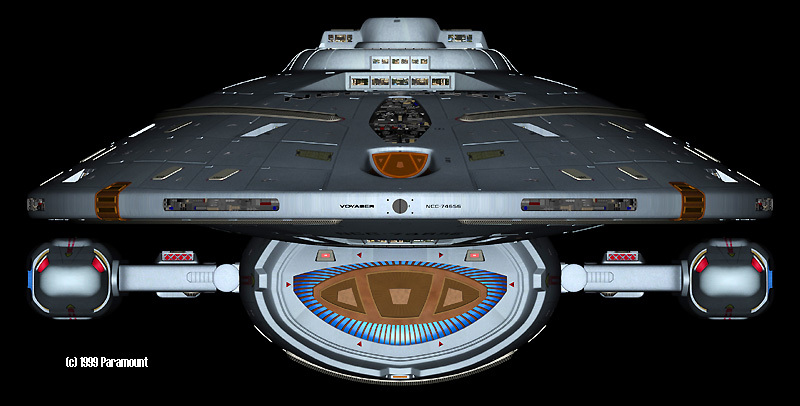 USS Voyager, NCC-74656, was one of Starfleet's first ships in a new class. Small, sleek, and fast, these ships are well armed for their size. 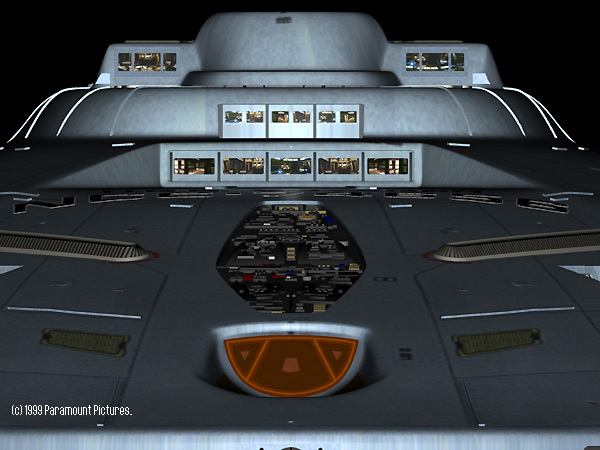 They are also outfitted with advanced computer systems, in which some traditional optical processors are relaced by bio-neural circuitry. 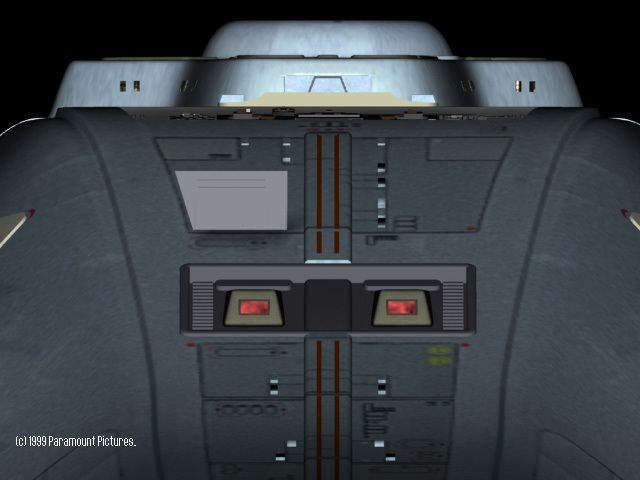 The ships are small enough that they could land if necessary on class M planets, and outfitted with specialized gear to make that possible. 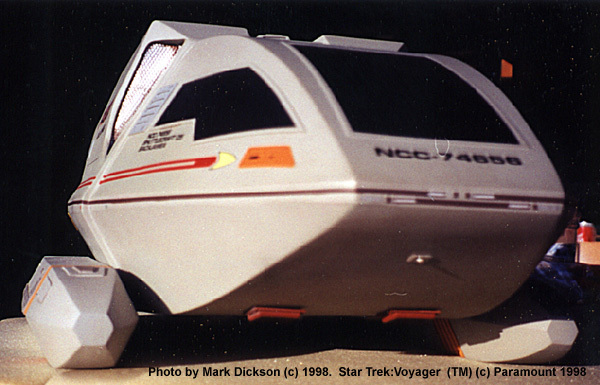 Voyager was apparently lost in 2371 while pursuing a Maquis ship in the Badlands. 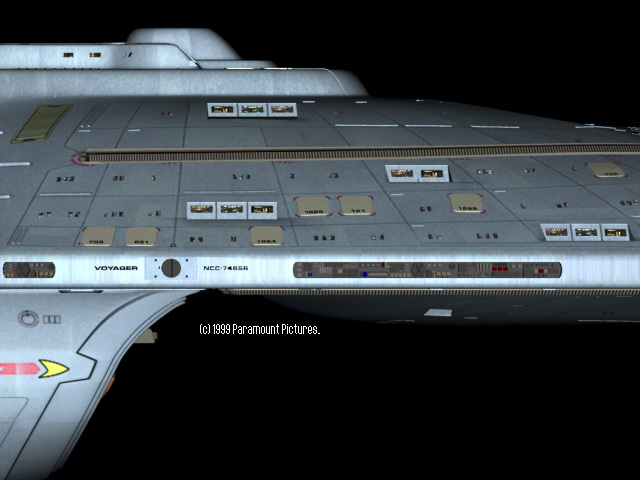 Unknown to Starfleet, both ships were violently propelled seventy thousand lightyears into the Delta Quadrant. 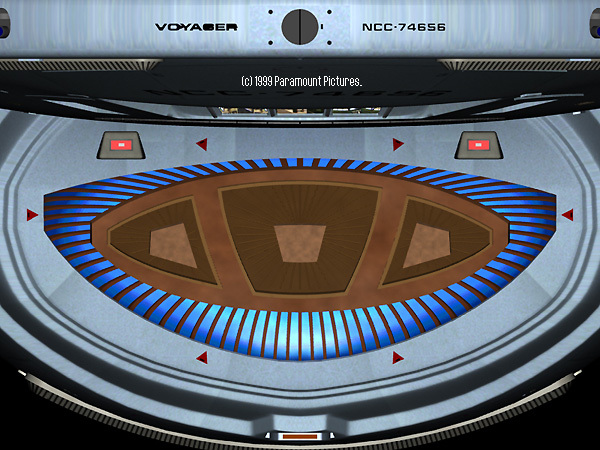 With the surviving crew of both ships on board, Voyager began the long trip back shortly therafter. 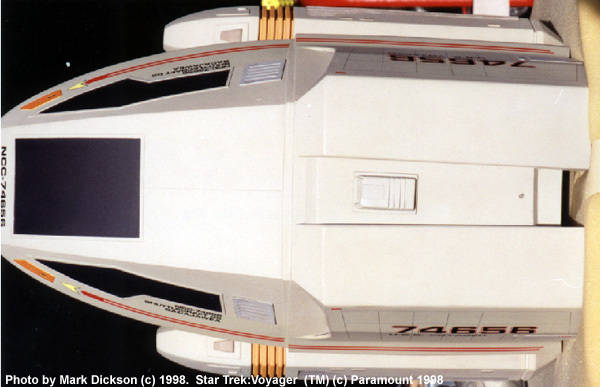 Star Trek:Voyager was an attempt to return to what many fans liked best about the Trek shows - a starship crew exploring new and different places and problems every week. 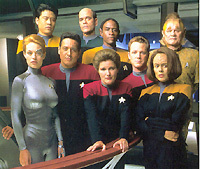 The show gave a twist to that format, with the premise that Voyager and crew were all alone and very far from home. This has enabled the producers and writers to introduce many new races - with mixed results, however. The Kazons, Vidians, and others never earned much appreciation from the fans, as the Cardassians, Bajorans, Jem'Hadar and Founders did in other series. As a result, familiar faces like the Borg and Q were brought back (with better results). 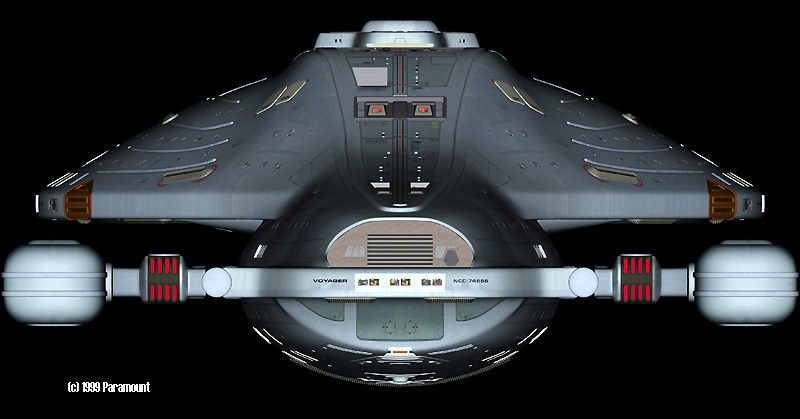 Starships and space-going craft, aside from Voyager herself and her shuttles, are less prominent elements of this show than in DS9. 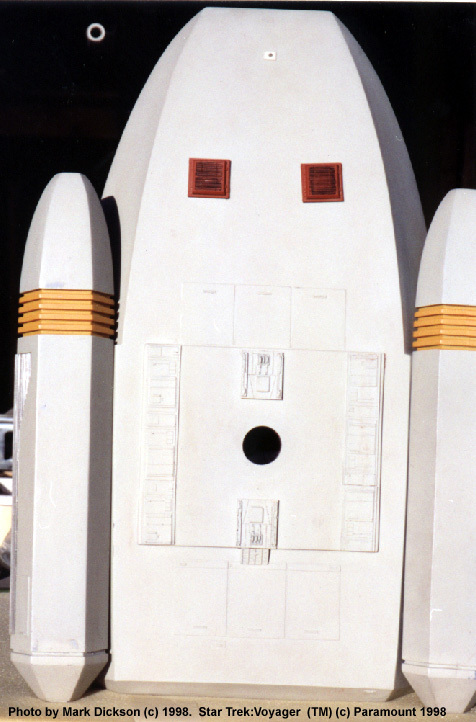 Very few familiar designs have been seen, aside from the Borg Cubes. 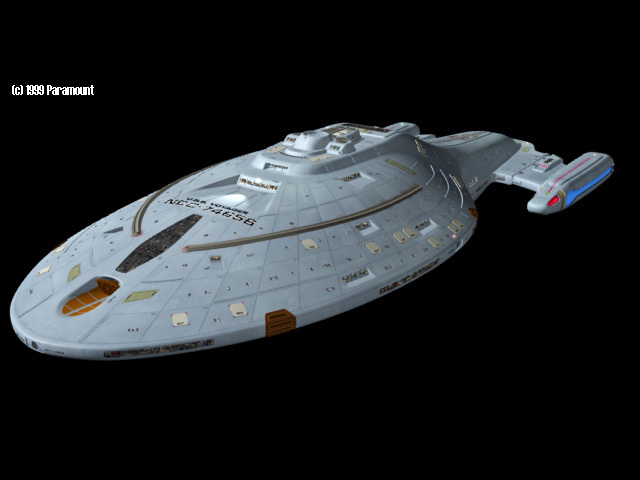 New ship designs have been quite different from previous series, especially since Foundation Imaging began doing the CGI. 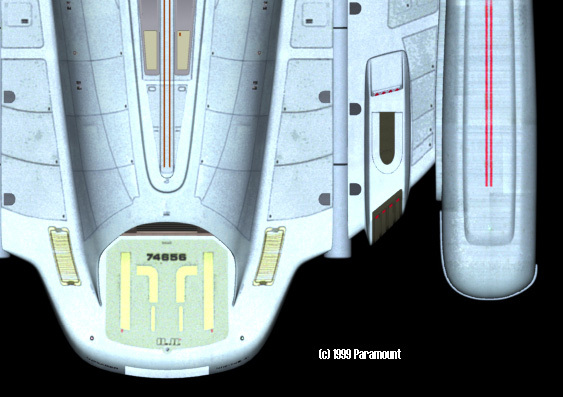 The sections below are divided up by ship type and grouped by alliance. 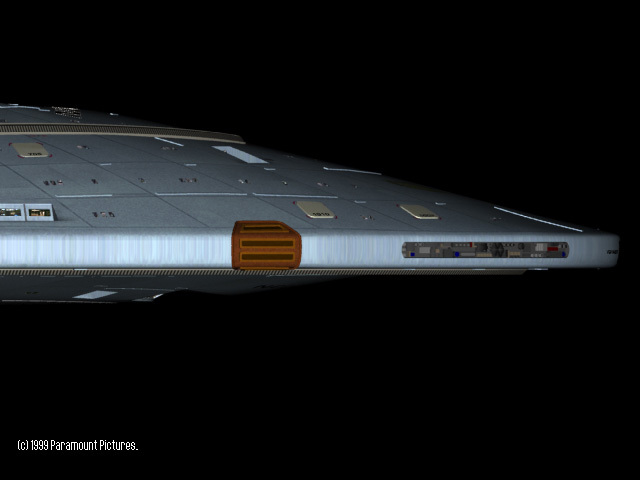 All renders are courtesy of "Friends of the Alliance"; other photographs are courtesy of individuals, as noted. These images may not be reproduced or redistributed/reposted by any means ... so don't even ask. Images: TM & COPYRIGHT 1997 - 1999 BY PARAMOUNT PICTURES Corporation. 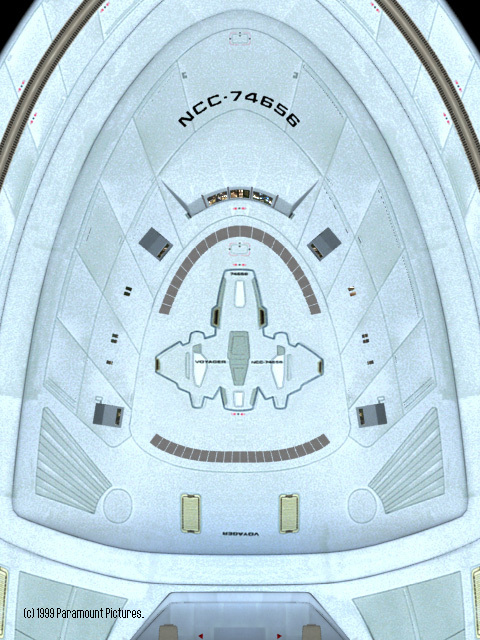 Image 9: Secondary hull (portside) detail. 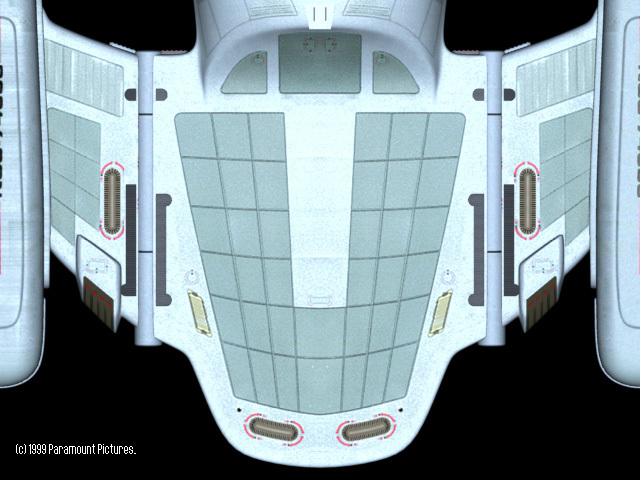 Image 10: Primary hull (starboard) detail. 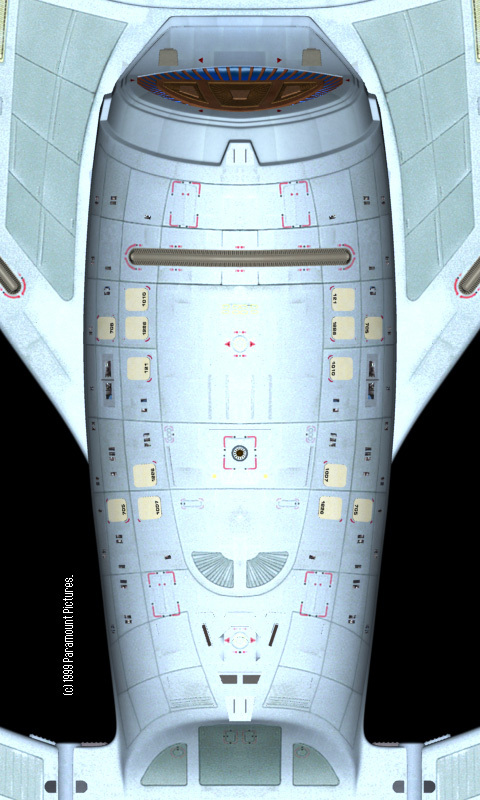 Intrepid-class Starship. 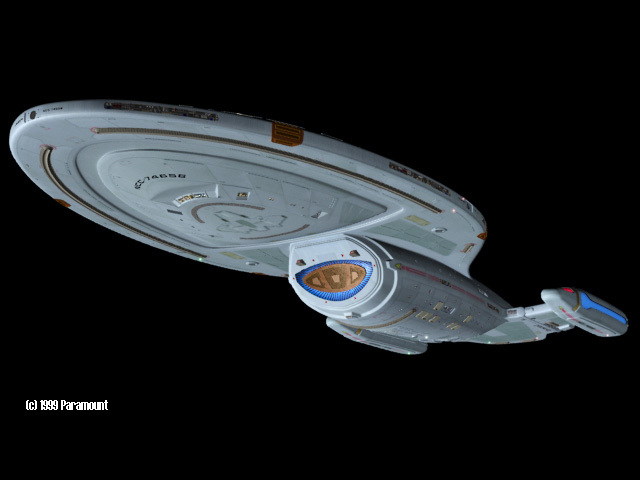 Small (15 decks), sleek, and fast (stable top speed of warp 9.975), these ships are well armed for their size. 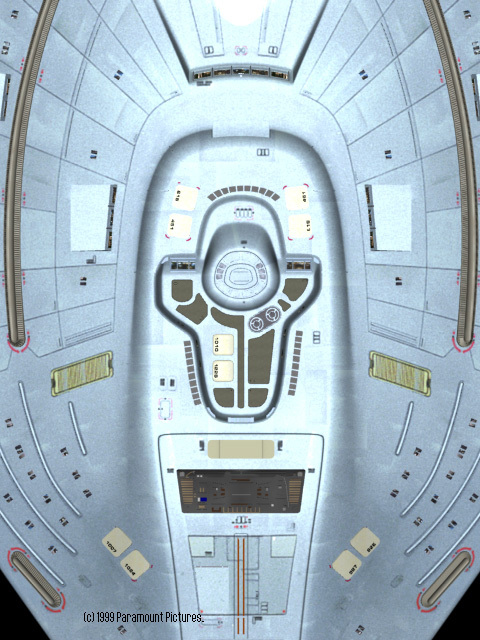 They are also outfitted with advanced computer systems, in which some traditional optical processors are relaced by bio-neural circuitry. The ships are small enough that they could land if necessary on class M planets, and outfitted with specialized gear to make that possible. Normally crewed by a complement of 141 personnel. 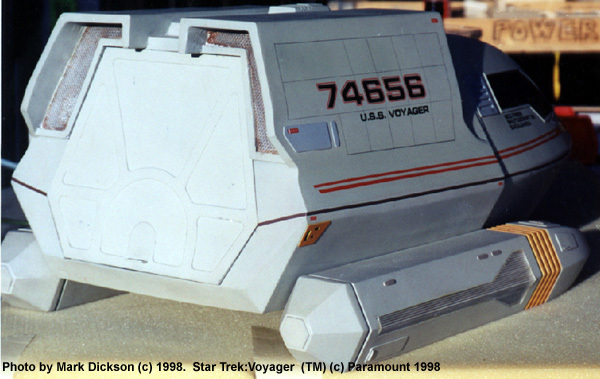 First seen in Voyager's pilot episode, "The Caretaker". 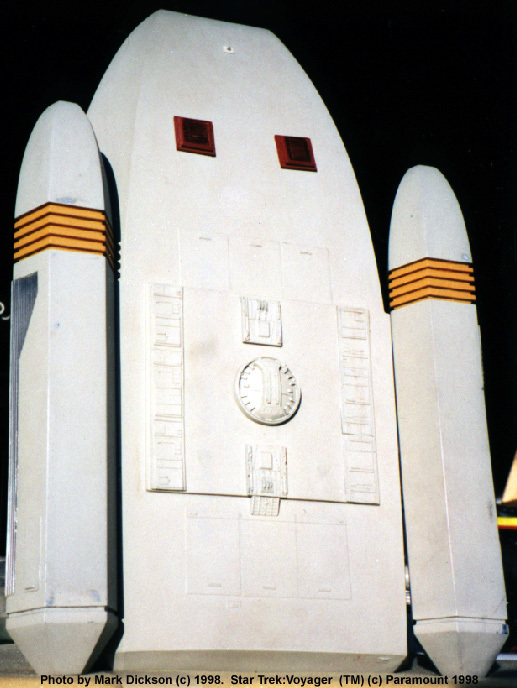 Image 10: Damaged Nacelle (starboard). 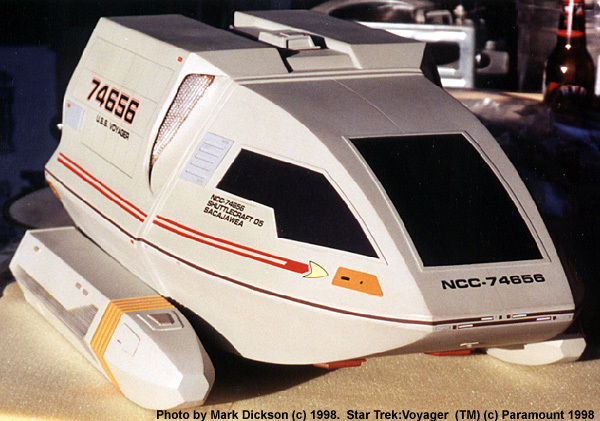 Type 6 Shuttle. 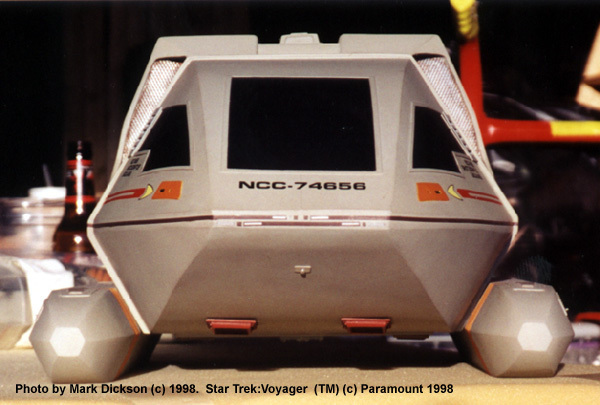 Voyager was outfitted with several Type 6 personnel/ utility shuttlecraft. These are generally used for inspections, short-range travel, and landing large/bulky cargo on a planet or other surface. 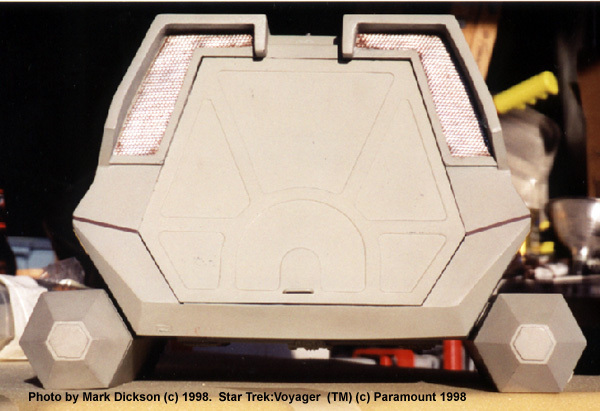 The design was first seen in TNG. Photos courtesy of Mark Dickson. 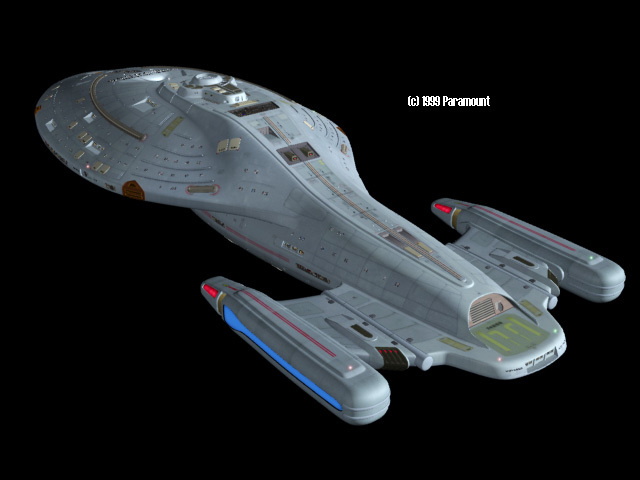 Star Trek® characters, names, and all related indicia are copyright and trademarks of Paramount Pictures. . All Rights Reserved. This page is not an authorized publication of Paramount and does not intend to infringe on any of their copyrights, trademarks, or publication rights. ANY COPYRIGHTED MATERIAL APPEARING ON THIS SITE COMPLIES WITH FAIR OR ACCEPTABLE USE PRINCIPLES ESTABLISHED IN U.S. AND INTERNATIONAL COPYRIGHT LAW FOR THE PURPOSES OF REVIEW, STUDY, CRITICISM, OR NEWS REPORTING.This page is best viewed by a system carrying the 'Haettenschweiler' font. 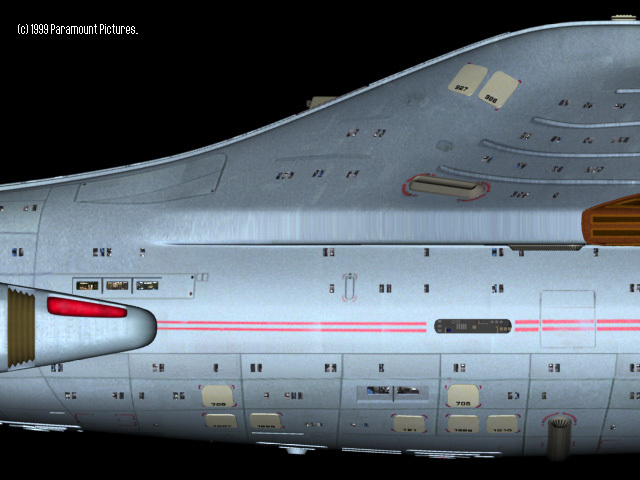 Please direct comments, questions, corrections, and picked nits to the Starship Modeler staff. Last updated 7 August 2002. 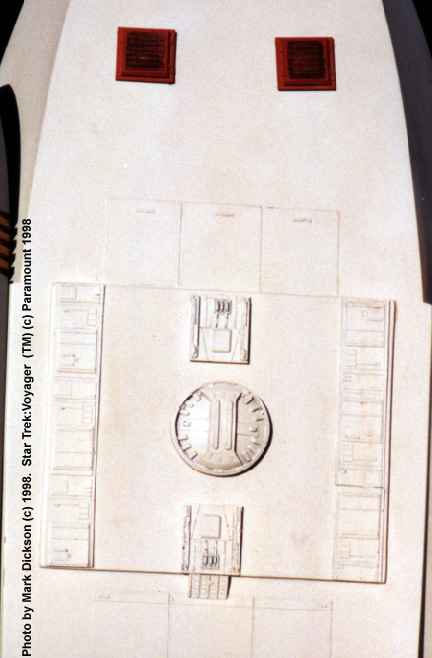 This page copyright © 1998-2001, Starship Modeler.